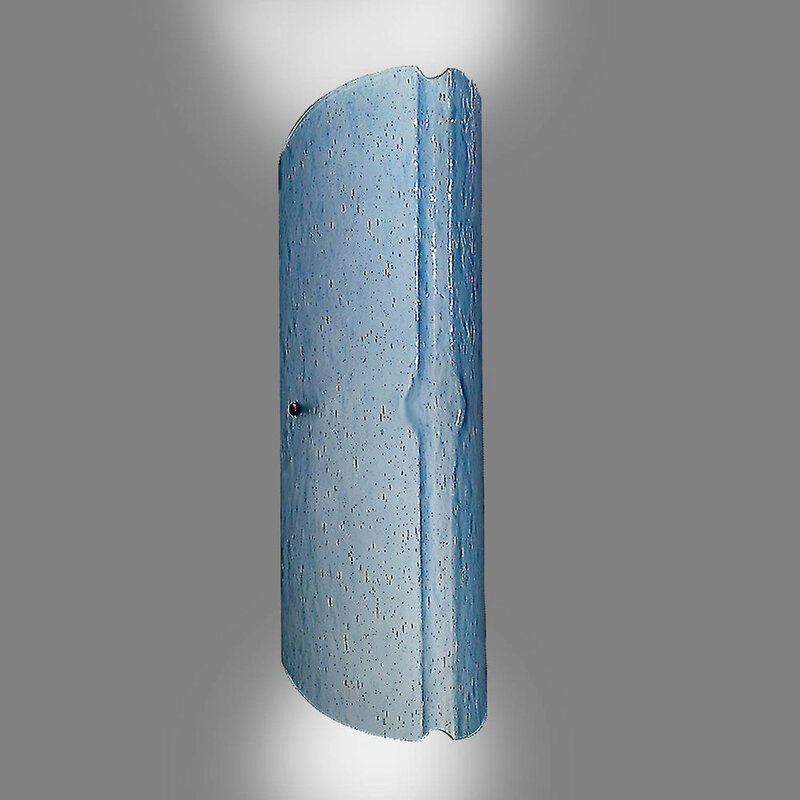 Derek Marshall wall sconces are like jewelry for your rooms. Adding a flattering, ambient light, wall sconces put everyone in their best possible light. Click on the images that appeal to you to see a selection of that style in varying glass colors and textures. There are more than 50 glass choices that we offer so please feel free to request a sample of those glasses you would like to see personally. As always, there is no charge for this service. Here are presented all the different styles of wall sconces in a variety of art glass finishes. To see more examples of each style in more glass selections, click on that image. You will then be able to see more details of any particular style. Please remember that any of our dozens of art glass colors and textures may be specified for any of our lighting choices. All our designs utilize the finest art glass available. We use stainless steel fastenings and aluminum alloy back plates. All electrical components are listed with Underwriters Laboratories LLC (UL), and all our lighting is certified with UL and carries the UL label. Call anytime you may have some questions or to ask for free samples of our glasses (800-497-3891).